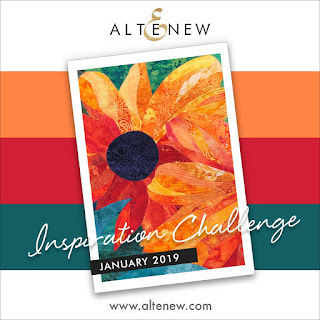 I'm here today with a flower card for Altenew current January Inspiration challenge. I should admit that this color combo was not super easy to work with but I gathered all the ideas I had and here's the card. I used Fantasy Floral die set by Altenew. 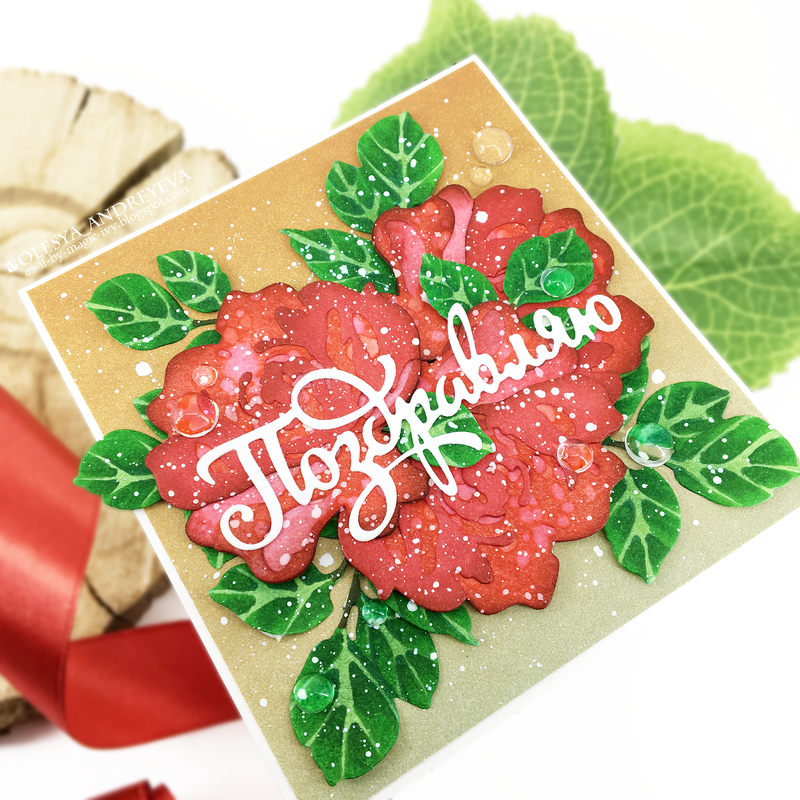 I die cut the leaves and flowers out of white cardstock. 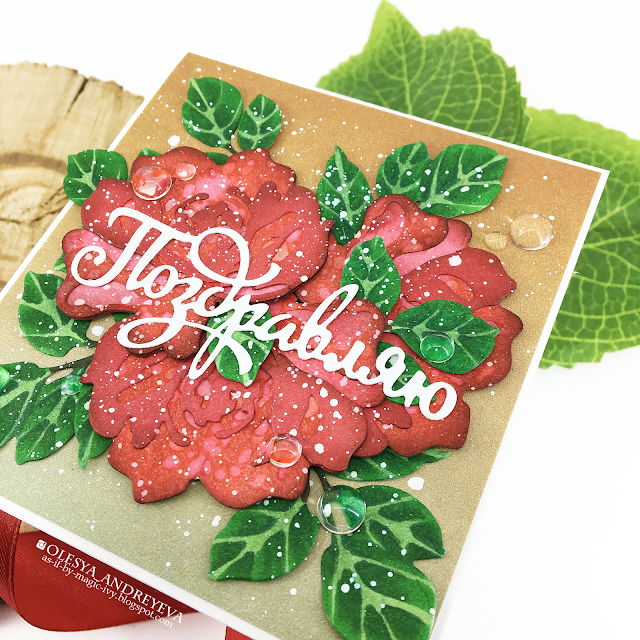 Colored the leqves with Chameleon pens and flowers with Distress ink ( bottom layer - Festive Berries, medium - Barn Door, top - Crimson Red Chameleon pen. Sponged each layer with Aged Mahogany Distress ink. Sprinkled the cluster with white gouache. 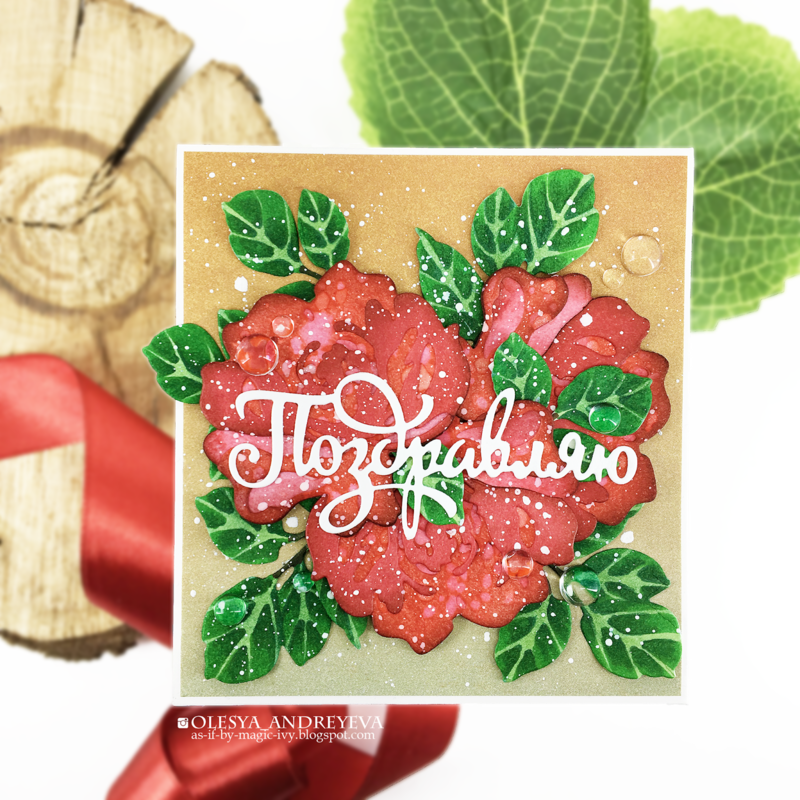 Die cut the sentiment (Agiart die), which means Congratulations in Russian. Added a couple clear drops by Studio Katia. In real life, the green colors look more bluish so to speak.